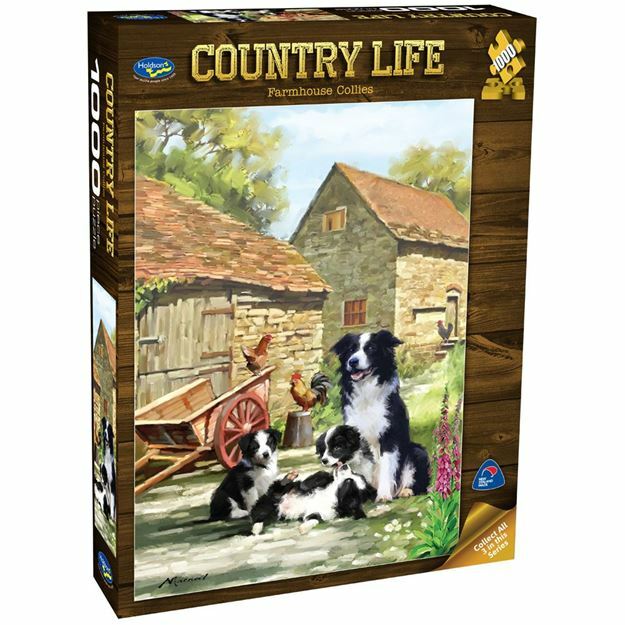 Enjoy the breathtaking countryside with this 1000pc Holdson Country Life puzzle series. Self taught artist Richard Macneil's vision is to create art that appeals to and is accessible to all. Titles include: Bring In The Flock, Farmhouse Collies and Farriers At Work. Each design sold separately. Collect all three designs. Age 8+ years. Made in New Zealand by Holdson. Approximate puzzle dimensions: 688mm x 493mm. Box size: 270mm x 370mm.